Countess Elizabeth Bathory was a 17th century woman who, whilst her story might be known by historians and horror buffs, is otherwise broadly unheard of. Born into a privileged world but enduring a harsh childhood, in her adult years she became convinced that bathing in virgin’s blood would maintain her youthful beauty, thus earning her a place in history as one of Europe’s most notorious ghouls. 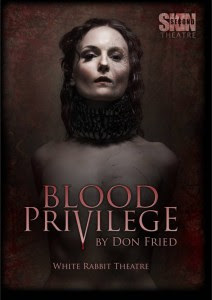 Against that backdrop, Don Fried has written Blood Privilege, portraying the essence of the Countess’ life in a two hour, two act piece, staged in the tiny venue of London’s White Rabbit Theatre. Unfortunately, Fried’s work falls short of his aspirations. A cleverly constructed act one portrays the young Countess’ experiences and Fried effectively extracts our sympathy for her plight at the hands of a would-be-tyrant king and a rejection by her true love Count Thurzo. Aside from a possibly slightly gratuitous scene of lesbian love, the key premise that Bathory expounds during the first half and which she argues cleverly, is that whilst men are driven by lust, women can be driven by vanity. The second act however disappoints. Essentially a political commentary, as the king seeks to manipulate Bathory to avoid repaying her a loan that her wealthy estate had made to the bankrupt Crown, the play descends into a tedious court case, in which the Countess is tried for the virgin murders. The hype for this production suggests, not unreasonably, that it will be bloody. 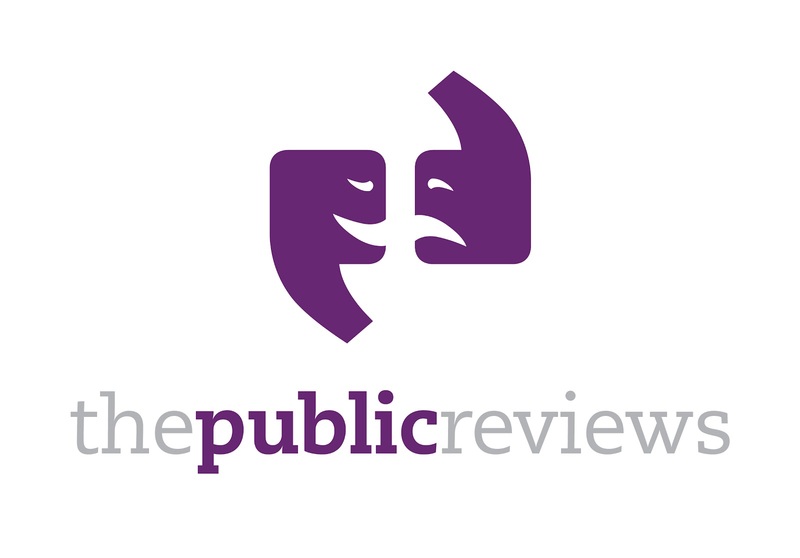 Fried however chooses for the play to avoid almost all on-stage violence, save for a stabbing and some early vengeful lashing, settling instead for a cod-historical comment upon the Austro-Hungarian politico-legal system. Hell’s teeth, this is Elizabeth Bathory he is writing about, a murderous monster. If even Shakespeare in Elizabethan times could have recognised that an audience would want to see Gloucester blinded or Caesar assassinated, before their very eyes, then it should not be beyond the wit of a 21st century playwright to recognise that a play about one of history’s most notorious murderesses should depict for the audience the bloody death of at least one of her virginal victims. The strength of this production is thus due to the success of its lead actress Mia Zara, who turns in an astonishing performance with the material available to her. Croatian born, Miss Zara has the merest hint of a mid-European accent that adds a deliciously piquant authenticity to her performance. Her presence is often chilling and her mastery of a massive script, spellbinding. Sporting complexion perfection and a perfectly formed physique, she is as captivating to watch as to listen to and when this play reminds one of old Hammer movies set in Magyar vampire country, it is easy to imagine Zara as a classic Hammer glamour starlet. Ross Mullan is every inch a king in immaculately fitted tight leather trousers and fur robes. Initially majestic and imperious, the second act sees his performance unfortunately remind one more of a pantomime baddy than a truly manipulative monarch. Dan Shelton puts in a good turn as two of the supporting characters in Bathory’s court whilst George Collin’s bumbling legal eagle Count Sigray, at times suggests more of a comic, almost Blackadder approach, to this horrific chapter of history that sits at odds with the play’s underlying darkness. This bloody historical tale lacks gore but drips bore. As it stands, Blood Privilege merely shows only significant potential as piece of credible historical drama. Were Fried to re-write his second act, the play could yet become an outstanding piece of modern theatre.